A basket of crusty bread. AS generous serving of calamari. Commuting from the Cape to the Berkshires a couple of years ago on a fluke, looking for lunch, we turned off 495 and a short hop from the highway discovered Luciano’s. From the lunch menu, with entrees in the $13.95 to $14.95 range, we had a truly superb dining experience. Returning from a week in Provincetown Astrid suggested that we find the restaurant. I wasn’t sure I could but spotted the sign and turned off in Wrentham. That's fairly close to Foxboro and Gillette Stadium as well as the Rhode Island border. We were delighted to return to a remarkable restaurant with traditional, high end Italian cuisine. It was just after noon and the vast restaurant, with its labyrinth of dining rooms in a variety of themed designs, was relatively empty. 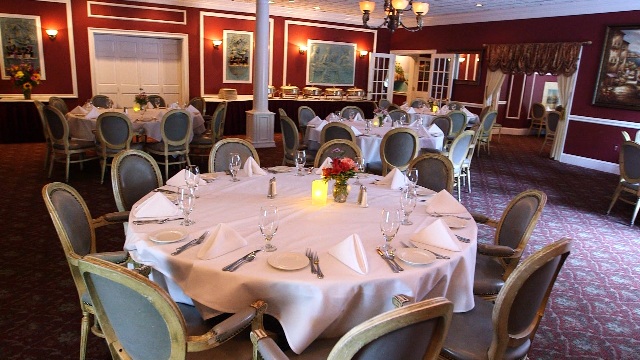 The intent of the hostess was to fill the first dining room before escorting guests to other areas. That meant being shown to a less than desirable table in a rather dark room. We declined and two rooms later came to the one we remembered from our first visit. There is a panoramic view of Italian landscape, with mountains and sea, executed by a skilled mural painter. There also appeared to be better lighting. The room is literally aglow. While it had only a couple of tables of diners at that early point in service, again, she was intent on burying us at a deuce in the corner. We declined and asked if we might have the better located and more spacious table for four. Rather bruskly she seated us and departed in a huff. It was interesting that she later returned with a couple, regulars it appeared, who were given a nice table for four even though that terrible two was still available. Perhaps we were judged as lowly tourists passing through which was in fact the case. For a road trip we were casually dressed which contrasted with the tuxedos of the staff. Observing the steady flow of arriving guests the attire varied from blue collar, shirts hanging over jeans, to elegantly turned out for the occasion. Here and there were examples of major hair and bling. It was a Saturday afternoon and we watched as the restaurant approached being filled to capacity, which is saying something considering its vast scale. There was a fascinating spectacle and parade. In staggered increments a large party of Pakistani diners made their way past us headed to a private dining room. The women were outfitted in fabulous traditional attire. The men, however, revealed no such ethnicity wearing the usual jackets and ties. I particularly noted an adolescent girl bouncing along with flashy, sequined party pants. She seemed to be having fun. A group of guys in shirts with women in cocktail dresses made their way to another function room. It proved to be a wedding party with the bride in a short, tight, fancy white dress. It was not exactly what one thinks of as a traditional wedding gown. We observed as the couple took their vows standing at the head of the table. The well seasoned maitre d'hotel seemed straight out of the Vegas playbook. Close your eyes and think Caesar’s Palace, The Venetian or Bellagio. You expected to interact with the Rat Pack or made men up from nearby Providence. It’s probably best to request a table with your back to the wall. If you catch the drift. 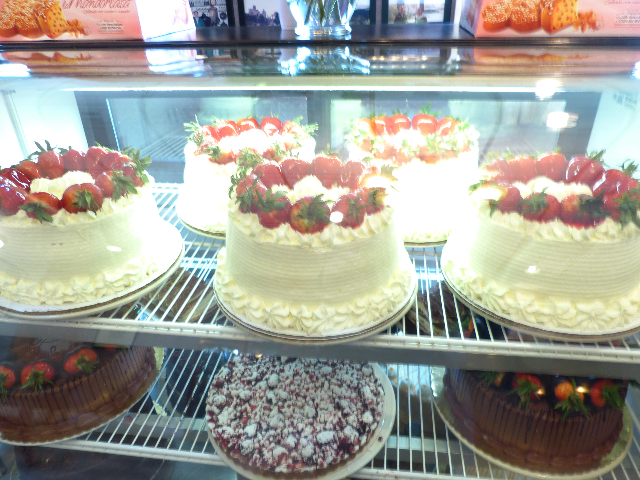 The toughest and most challenging aspect of the experience was selecting from a vast, enticing menu. There were exotic veal and seafood dishes in the $30 range but many entrees priced at half that. 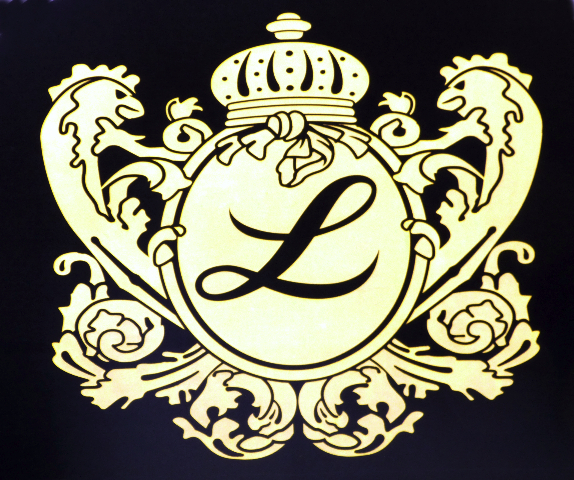 It is that astonishing price range that accounts for why Luciano’s attracts such a spectrum of diners from working class through the local Dons and Marias. 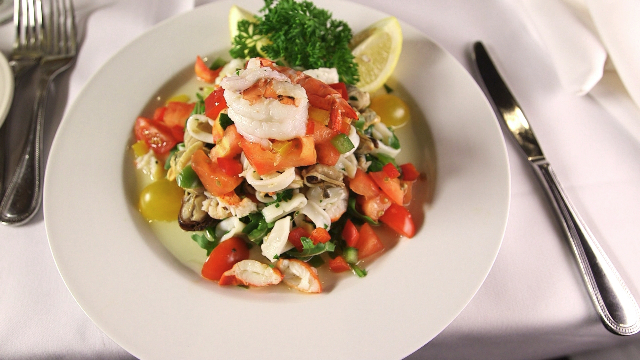 The success of the restaurant, in business since 1991, is more than just lucky. Born on a farm on the outskirts of Rome, Chef Luciano Canova grew up with his parents and grandparents in an environment where food kept his family together. He graduated from the Culinary Institute of Italy then worked all around the world including Switzerland, Germany, and even on a cruise line. Looking about there were many tables for eight that seemed to include groups of neighbors and friends sharing a social occasion. The service was courteous and impeccable. 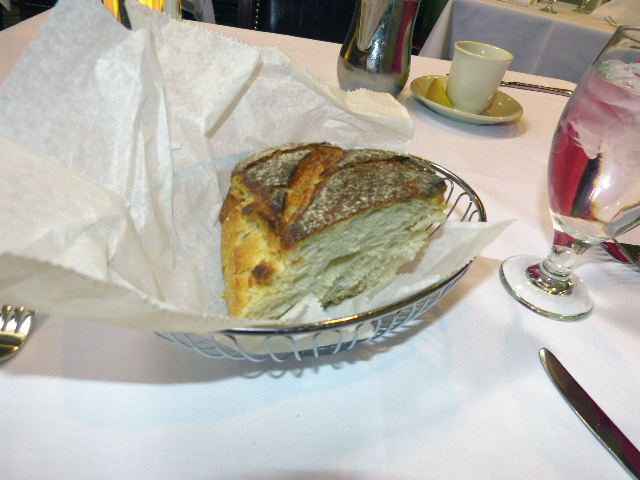 It was everything one hoped for starting with a basket of exquisitely crusty, warm, fresh bread and dipping oil. Although we did not receive the complimentary mini pizza delivered to most other tables. Maybe next time. The maitre d'hotel dropped by to ask if all was well. I engaged him in a bit of repartee. 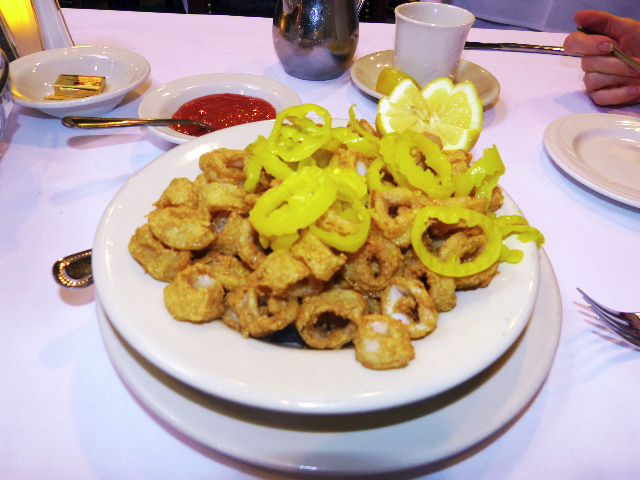 Delicate tender calamari rings pan-fried until golden crisp. Topped with hot cherry peppers and served with our house made cocktail sauce and lemon garnish. Chicken breast dipped in flour, stuffed with fresh mozzarella cheese, imported Prosciutto di Parma and fresh sage, sautéed in a frascati wine demi glacé with domestic mushrooms served over risotto and finished with parmigiano-reggiano. Baby arugula, vidalia onions, chopped tomatoes, black olives, red & yellow peppers and fresh Vermont goat cheese tossed in balsamic vinegar & olive oil. Topped with two jumbo shrimp. Everything was above and beyond expectations. The portion of calamari was more generous than usual. I liked the touch of a garnish of spicy, yellow pepper rings. The dipping sauce was apt. Next time I hope to explore other appetizers particularly their version of clams casino. On our first visit I went for eggplant parmigiana, but this time, I opted for something more complex. 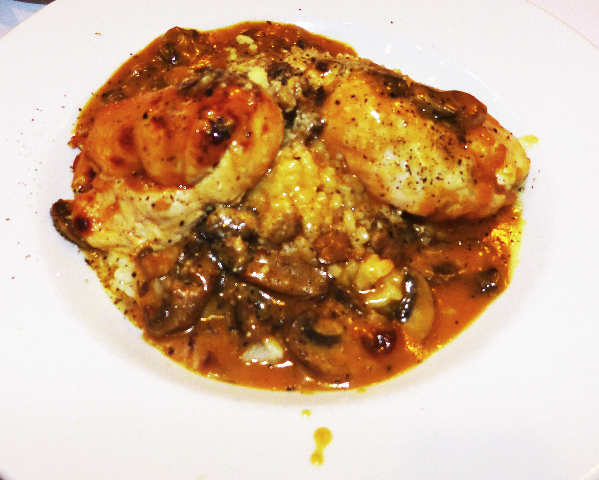 The serving of Bococcini di Pollo (dinner version) included two rolls of chicken over risotto with sweet, delicious frascati wine demi glace. The portion was such that I asked for one roll and the remainder of the risotto to take home. We enjoyed it the other night as a part of our evening meal. Even nuked it was full of exotic flavor. 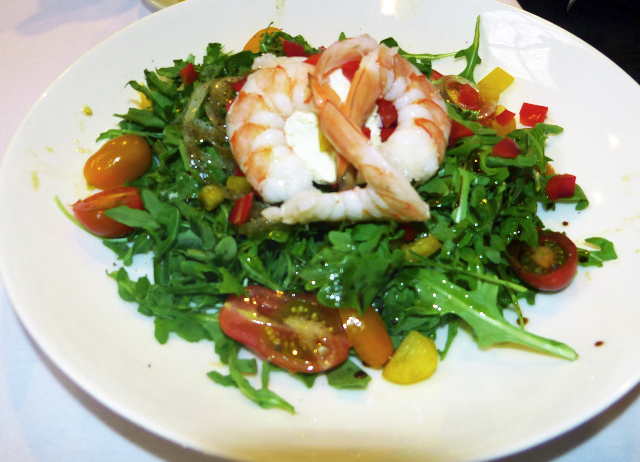 Astrid’s shrimp and arugula salad arrived at our table with spectacular presentation. The two jumbo shrimps were split and arranged to look like a mountain of seafood. From what I sampled the greens were perfectly dressed. My only compliant is only getting to enjoy this incredible restaurant when on the road. We would love to be regulars and perhaps, eventually, the hostess would offer us a better table. Perhaps, next time, I will make her an offer she cannot refuse. "Excellent article, as you provided a narrative and talked a lot about people as thought you were a "people gazer" . . . not just the food. But the food looked great. I'm there! BTW, you meant "complaint" and it came out as "compliant" at the end of the article."